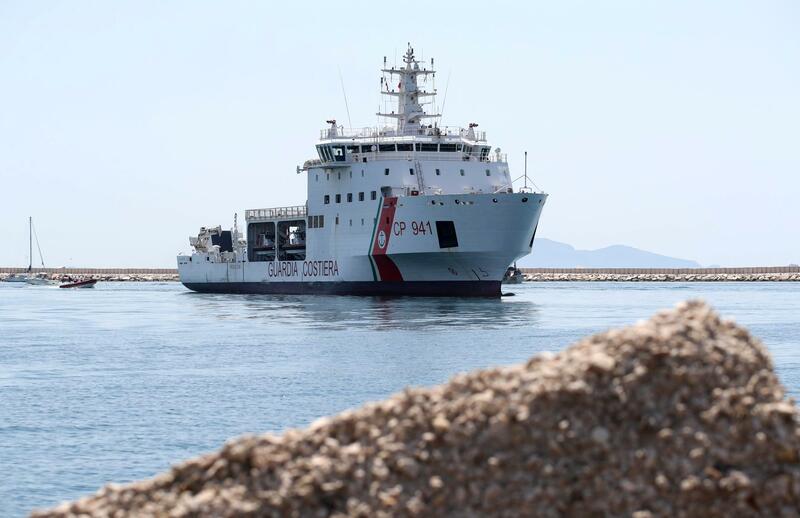 UPDATED: Sat., July 14, 2018, 4:13 p.m.
ROME – Italy said Saturday that Malta and France had agreed to take 100 of the 450 migrants who were rescued from a fishing boat in the Mediterranean, claiming victory in the latest standoff but demanding even greater European solidarity. “It’s an important result,” Conte wrote on Facebook, along with a copy of the letter he wrote to top European Commission officials demanding that other European countries make good on their verbal pledges to help Italy deal with the influx. Malta said it had fulfilled its obligations by monitoring the vessel to see if it needed help. Malta says the ship’s crew made clear they didn’t need help and were heading toward the Italian island of Lampedusa. Published: July 14, 2018, 9:59 a.m. Updated: July 14, 2018, 4:13 p.m.